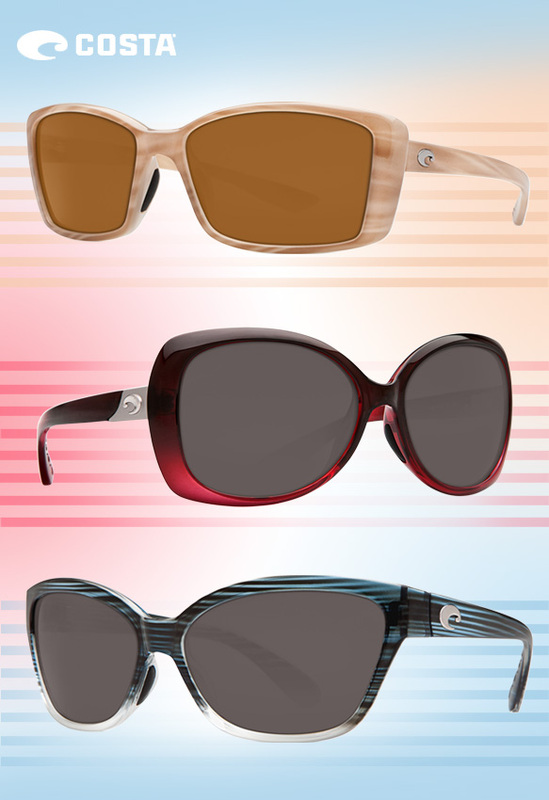 With bold sporty silhouettes and chic pigments at the forefront, the latest Costa Sunglasses were simply made for fashionably active gals everywhere! Angular cat-eye, oversized butterfly and sleek rectangular profiles—all boasting athletic vibes—are perfect for lively babes who have an eye for high style! To boot, soft tan, vibrant poppy red and ocean blue hues, not to mention super cool two-toned effects, colored lenses and striped patterns, put these sunnies over the edge—but in a good way, of course! Ladies, get even more must-have deets here.